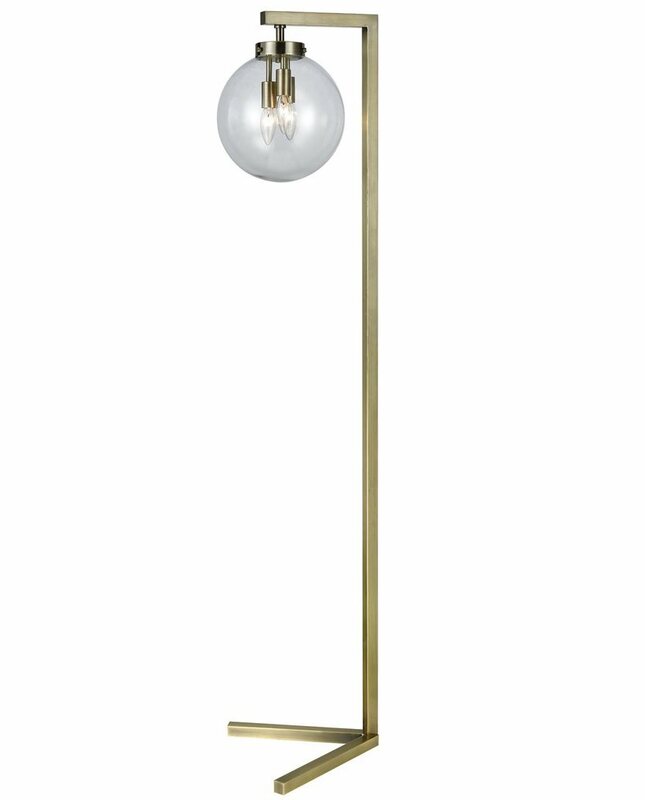 The Quinn floor lamp has a modern latern design with a round glass shade showing the three candelabra bulbs. This lamp has a unique look that will work well with both modern and transitional styles. In aged brass, featuring 3 (40) W candelabra bulbs and clear glass.